Last night we were lucky enough to have a wonderfully beautiful winter storm which lead to my husband having a snow day today!! I love these extra days that we get to spend together! We decided to make the most of it…. My Dad picked this kit up for us a while back and we have been waiting for our chance to use it! It says all you need is snow and we had plenty of wet, heavy, packing snow! 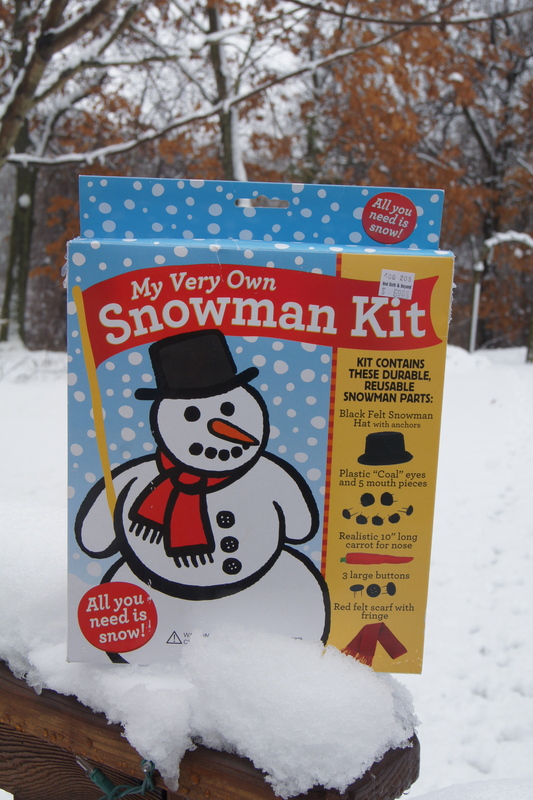 The kit includes a hat, scarf, buttons, and “coal” for the eyes and mouth. I usually would prefer the old-fashioned way of doing things, but this really was easier than searching for an extra scarf and rocks for the face! Also, it was $6.99 at Bed, Bath, and Beyond (where you can use a coupon) and it can be used over and over again. 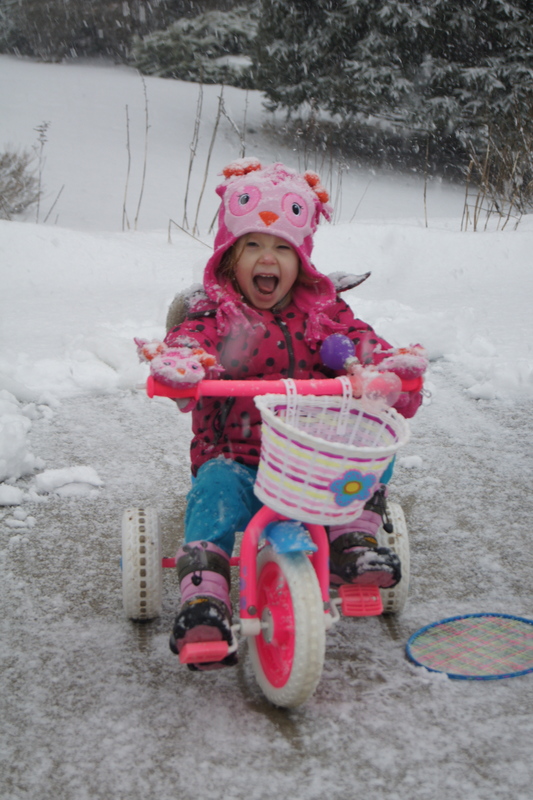 It enabled us to just get bundled up and go play! So we got started rolling…and rolling..and rolling..At this point, I had to put down my camera and pitch in. 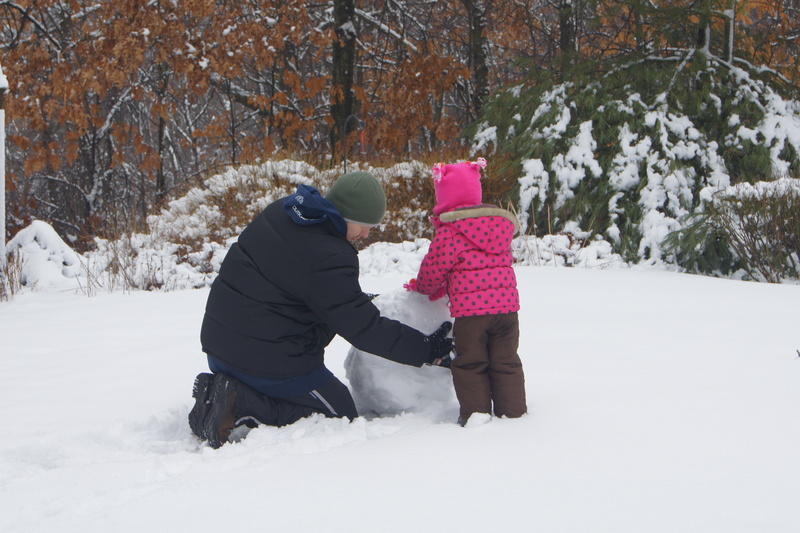 We made three gigantic snowballs. 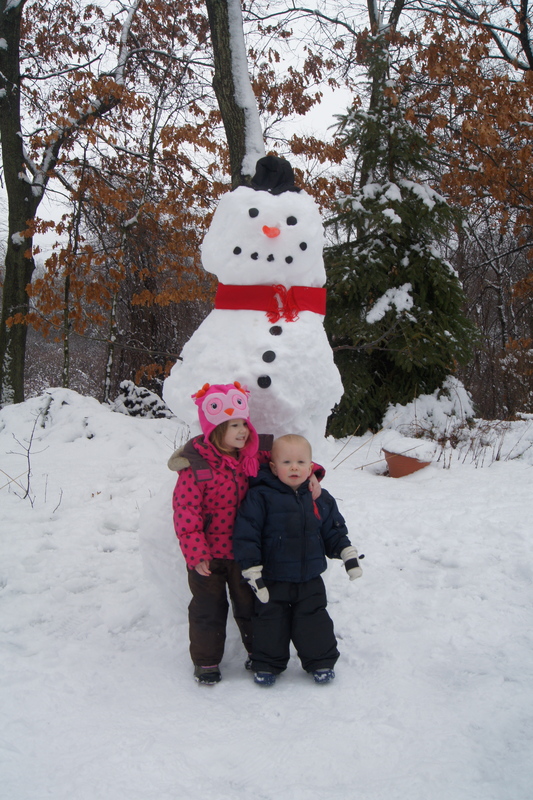 Soon we had a snowman that was over six feet tall!! Our snowman was so perfect! He looked like he had just come out of a book! The kids were proud of their hard work and so was their Daddy! 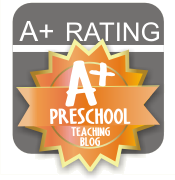 We went inside after all of our hard work for a well-deserved lunch and some tea. 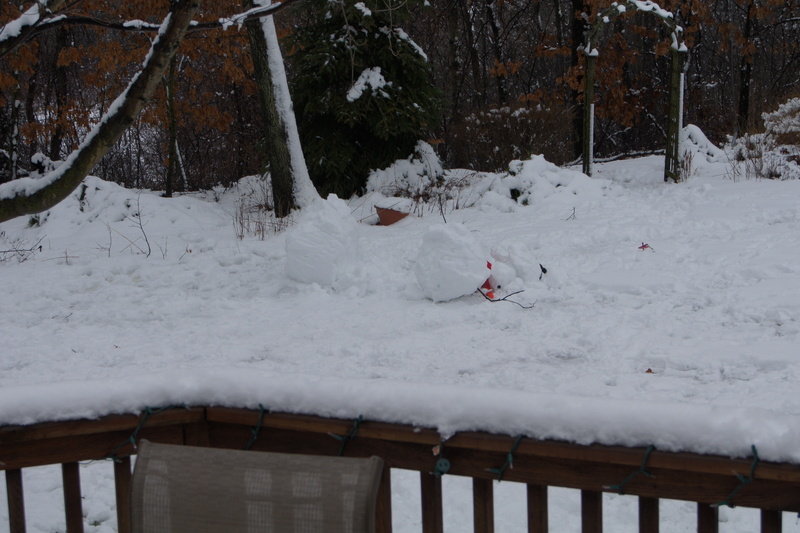 We were having a great time, unfortunately, our snowman was not. Looking out of the window, mid-lunch, we saw this..
Oops! 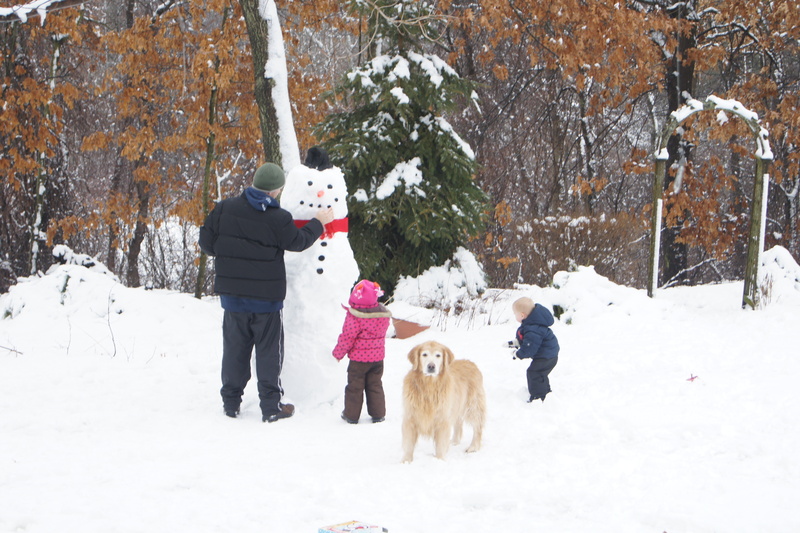 Our snowman may have been a bit too top-heavy. Oh well, we all had a great time playing in the snow together anyway!